You can roast chiles under medium heat on the broiler, on a very hot grill, over an open fire or on the stovetop. For the stove top method, it is helpful to use a metal steaming basket placed over the open flame. Place the chiles into the basket and keep the flame medium. Clean chiles and dry thoroughly. Place cleaned chiles under or over the heat and turn every minute or so until the skin is blackened. The entire chile will not be completely black, but it should be charred about 60%. It should take 5 to 10 minutes. Carefully remove the charred chiles from the heat source. Tongs are helpful for this. Carefully place the chiles into a plastic baggie and seal it. This will steam the chiles to continue the cooking and make the skins easier to remove. Let the chiles sweat for 10-15 minutes. 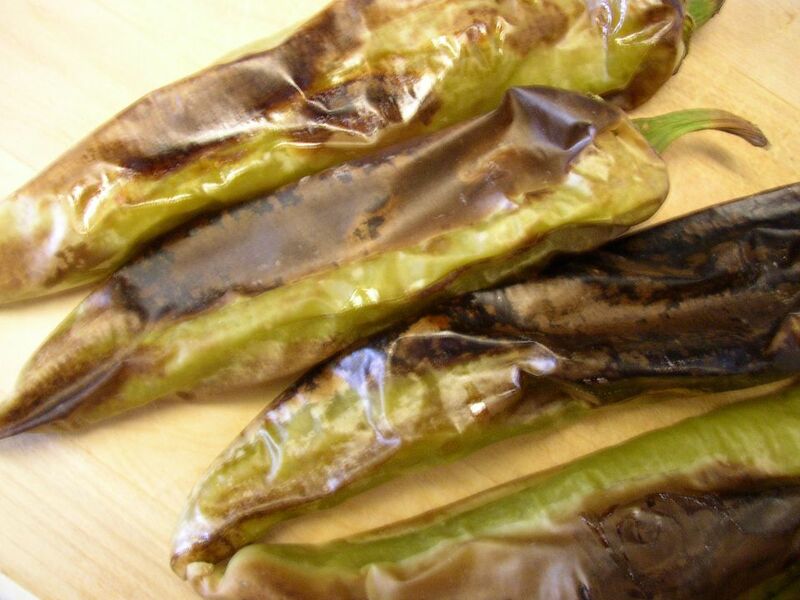 Use additional baggies if roasting a large number of chiles. Remove the chiles from the bag one at a time. As you remove them, rub the chiles to remove the skins. Use a knife to remove any skin that sticks. When the chiles are all peeled, you can use them immediately for best flavor, or freeze them for later use. If a baggie is not available, place the chiles in a plastic storage container with a lid. Or on a plate covered with plastic wrap or a towel. Be careful of the heat. Always use tongs, pot holders or whatever you need to protect yourself. Remember that the chile does not need to be completely black. As long as the chile is at least 60% charred, it should be fine. Some people remove the skins while holding the chile under running water. The water can remove some of the flavorful oils in the chile so try to remove the skins with just your fingers.